What are the facilities inside the Pavilion? Toilets, hot drinks vending, café, information regarding the various sporting activities occurring at Slades, water fountain. The building will be open to access the toilets and the hot drinks vending machine Monday-Friday 9.30-4.30. We aim to open the café from 9.30-4.30 Monday-Friday. However, this is entirely dependent upon us having volunteers to help us open and run the facility. Weekend opening hours again, will be subject to volunteer take up. If you have a few hours to spare per week and would like to help us run the café, please contact Maria Wilson on 07753 274098 for a chat. What will the café sell? Initially we will be selling teas and coffees, cakes, biscuits, ice creams and sandwiches. However, this is subject to change and we may well offer other items if there is demand for them. Yes, we are a completely cashless facility and will accept debit and credit cards, EMV chip cards or mobile payment apps. Is my dog allowed inside the building? 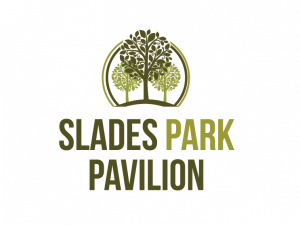 If you have any questions regarding the developments at Slades, please email info@activedorset.org.